Caregiver Products is proud to supply a line of Ventopedic™ positioning aids and protectors by TexMedico Inc. 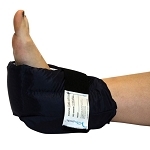 Effective moisture relief and cushioning for the lower leg and heel. Unique design effectively cushions the heel for better protection. 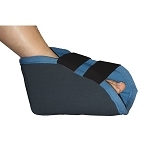 Provides cushion and support to relieve pressure on heels. Protection for the palm of the hand to prevent pressure sores.